More than half of all Americans have subprime credit, meaning the majority of people don’t have access to the best interest rates and loan terms available when they go to borrow money or open up a credit card. Regardless of whether you rely on credit every day or make an attempt to pay cash for most of your purchases, having bad credit can take a huge toll on all aspects of your life. Bad credit doesn’t affect just your loans, it actually branches out to many other areas that might surprise you. 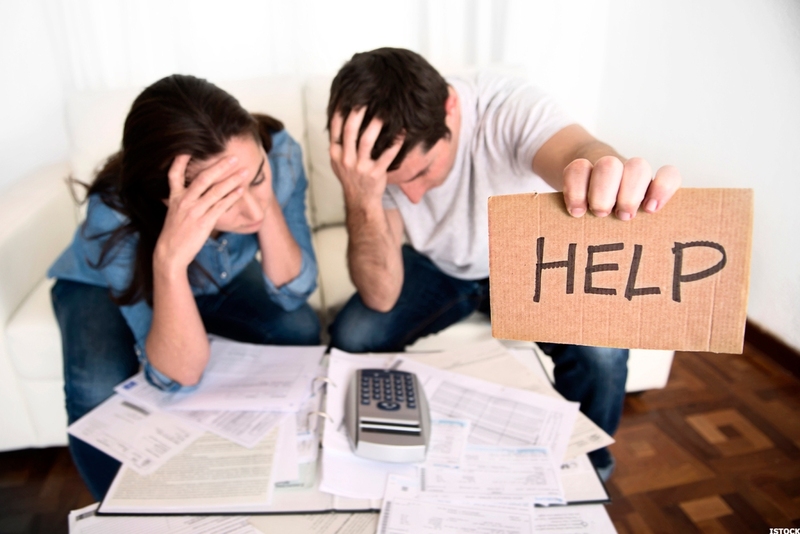 Find out exactly how much bad credit can cost you, and what you can do to turn things around. Buying a house is hands down one of the largest purchases you’ll ever make in your life. What else would you spend a potential six figures on? And because the price tag is so large, it means that even a small fraction of an interest point can cost you thousands of dollars or more throughout your mortgage. Not only that, your credit score also affects how much of a down payment you’re required to make. Let’s break it down with an example. Say that Sarah purchases a home priced at $175,000. She takes out an FHA loan and because her credit score is 745, she qualifies for a low interest rate of 3.45%. Not only that, she only has to make a 3.5% down payment. That payment comes to $6,125, bringing her loan amount down to $168,875. Using a mortgage calculator, we find that Sarah’s monthly principal and interest payment comes to $754 and she’ll spend a total of $271,303 over the life of the 30-year mortgage. Now let’s look at Brad. He buys a similar house for the same price as Sarah and also takes out an FHA loan. However, his credit score is only 575. He still manages to qualify for the loan but is required to pay 10% of the home price as a down payment, which amounts to $17,500. That’s well over $10,000 more than Sarah is required to pay. Plus, his interest rate jumps up to 5.25%. Even with the higher down payment, Brad’s monthly payment is still $870 and he will pay a total of $313,099 on his 30-year mortgage. Getting the same price home with the same type of loan ends up costing Brad over $53,000 more than Sarah, simply because he had bad credit. That may seem like a lot, but in this hypothetical situation, Brad is lucky to get a mortgage at all. Most conventional lenders cut off their approvals around 620 and FHA lenders start to weed out applicants with a score of 580 or less. However, bad credit not only affects your ability to get a mortgage, it can also impact whether or not you can rent a property. More and more landlords now require a credit check as part of the screening process for tenants. If you live in a competitive area, having a bad credit score could become a roadblock to finding a house or apartment. Bad credit can also cost you money when it comes time to take out a loan or apply for a credit card. Whether you need a personal loan to cover emergency expenses or a car loan when you need a new set of wheels, you’ve already seen what the difference of a point or two in interest can do to your monthly payments. If your credit score is really low, you might not qualify for a loan or credit card at all. If you don’t have access to credit but need money for an emergency, your options become dangerously limited. You might be tempted to take out a payday loan or title loan, both of which come with extraordinarily high interest rates and fees, not to mention the possibility of losing your car or other property if you can’t repay the loan on time. Student loans are also a major burden for many people today. In fact, over 40% of student loan borrowers aren’t making payments at all and over 16% are already in default. Regularly missing payments and going into default make your credit score even worse. But if you already have bad credit and are seeking a solution to lower your monthly payments, your options are also limited. You probably won’t qualify for a lower rate, and might not be able to refinance at all. It sounds like a vicious cycle, but the best thing you can do for yourself is work to increase your credit score before it’s too late. At some point in your life, you’re going to need some type of insurance. Whether it’s car insurance, life insurance, renter’s insurance, or homeowner’s insurance, it’s hard to avoid paying those monthly premiums to insure our valuable possessions. And unfortunately, just how much you pay each month depends partly on how strong your credit score is. Insurance companies assume that if you are irresponsible with your money, you might also be irresponsible while driving or while taking care of your home or health. 95% of car insurance companies and 85% of home insurance companies use credit when determining premiums. Clearly, even if you don’t intend to use credit specifically, your credit score still follows you in other ways. In addition to affecting your access to credit and insurance premiums, having bad credit can cost you in other big ways. Many banks won’t let you get a bank account with bad credit, particularly if you have a history of frequent overdrafts or bounced checks. This information is documented in ChexSystems and while some banks do offer “second chance” accounts, you’ll likely end up with limited options, higher fees, and high deposit minimums. Your employment options may also become limited with bad credit because many employers now check your credit as part of the job application. This is especially true if the position requires you to handle money or keep a company credit card. You might not be able to put an exact price tag on the cost of bad credit here, but there’s no doubt your income could suffer if you can’t move up in the ranks with greater responsibilities. Now that you know exactly how bad credit affects your life, from financial opportunities even to potential earning power, it’s time to find out exactly how much a bad financial decision can affect your credit score. Hopefully, the next time you consider one of these options, you’ll look for an alternative so that your credit score doesn’t take a hit. So what’s the best way you can clean up your credit history and increase your score? The answer to that question really depends on what exactly is on your credit report. It’s easy to find out. Simply request a copy of your three credit reports from Experian, Equifax, and TransUnion. It’s free every 12 months and it’s definitely a service worth taking advantage of. If you fill out your request online, you can download your reports right then. Take a look and see what exactly is there and make sure all of the information is accurate. If you have one or two negative items, you might be able to get them removed on your own. There are several different methods you can use depending on the type of items on your credit report. If you credit needs a lot of work, you might also want to consider hiring a credit repair service. They understand how the law works and ensure that no stone is left unturned when it comes to fixing your credit. When you work with an experienced company, you’ll receive a personalized action plan that is tailored specifically to your current credit history. Most major companies have teams of paralegals and lawyers who understand the Fair Credit Reporting Act and other consumer protection laws. Follow this link to read the review of our top-ranked company. Hopefully, it’s now obvious that poor credit can negatively impact all areas of your life: your finances, your housing, your insurance, and even your job. These tangible effects don’t even account for the emotional stress you’re likely to endure when you’re dealing with these issues. The cost of bad credit is real and it’s substantial. But most importantly, it’s avoidable. Commit to getting your finances straightened out today so you don’t have to worry about bad credit tomorrow.